Jackson County Jail | Historic Jacksonville, Inc.
Three previous jails stood on the site of the historic Jackson County Jail located at 216 North 5th Street in Jacksonville. In 1875, a sturdy brick jail replaced a simple wooden structure built in the 1850s. When the new jail burned in 1889, it was replaced with a larger building boasting a concrete floor and corrugated iron ceiling. 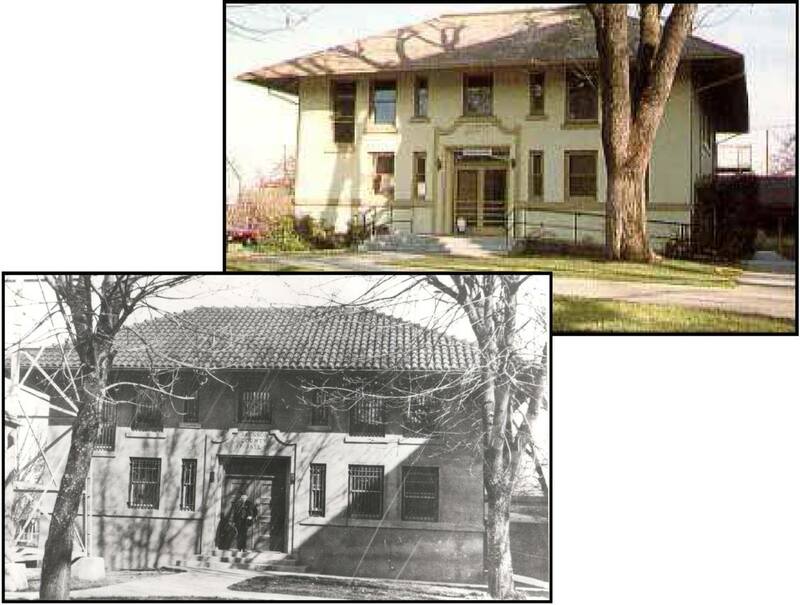 By 1910 it was deemed old and inadequate and was torn down to make way for the current structure. Completed in 1911, the existing jail was built to house 25 prisoners. Heavy iron cages lined the first floor; reinforced cells and padded cells were on the second floor. The jail continued in service until the county seat was moved to Medford in 1927. Today the facility houses Art Presence art center.